Could John Tortorella Be Maine’s Savior? 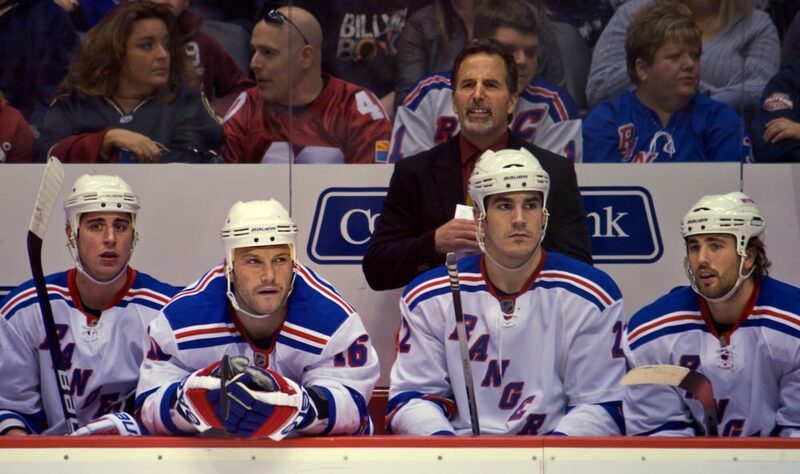 Recent reports from Darren Dreger say that New York Rangers coach John Tortorella could be out of a job if the Rangers fail to advance in the playoffs. It’s entirely possible with Glen Sather picking up Rick Nash and shipping Marian Gaborik to Columbus that Tortorella may not be the coach Sather is looking for. If Sather gives Tortorella the ol’ heave-ho, might I suggest one thing? 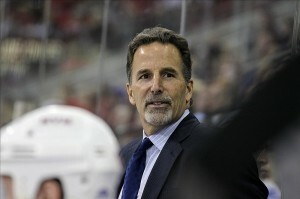 How about Tortorella returns to his old roots and head back up to his old stomping grounds of the University of Maine? The Black Bears desperately need a new head coach after the Tim Whitehead disaster and Tortorella is the coach this program needs. A little back story on Tortorella’s UMaine past, he and his brother, Jim, both played for the Black Bears with John was a winger and Jim a goaltender. John Tortorella is on the school’s athletic Hall of Fame wall, along with Jim, and graduated from the Orono, Maine school in 1981. So, there is a lot of history there. The program that legendary Shawn Walsh had built up came crashing down during the tenure of Tim Whitehead. Sure, Whitehead led the team to a couple of National Championship appearances, one that should have been a victory in 2002 if it weren’t for a questionable tripping call in overtime, but the team had regressed under Whitehead. The firing of Whitehead was long overdue and brought much jubilation to Black Bear fans across the Pine Tree State. This Black Bears program is a very proud one making eleven Frozen Fours since 1988, but haven’t made a trip since 2007. The five year NCAA Tournament drought between 2007-2012 was the longest since before Shawn Walsh came to Orono. So, to put it lightly, Tim Whitehead has seriously damaged this program and they need a savior. It’s a long shot, at best, for Tortorella to take the job at Maine. Firstly, we don’t even know if he’ll be let go by the Rangers. The reports by Dreger are just speculation and the Rangers are still in the playoffs, they can still make a run and win the Stanley Cup. I’m not an NHL executive, but I’m pretty sure a Stanley Cup title gets you off the hot seat. Secondly, even if Tortorella is let go, he still has a great resume and I’m sure other NHL clubs would be very interested in him. He’s already won a Stanley Cup with the one time hapless Tampa Bay Lightning and has a perennial contender in the New York Rangers. It would seem unlikely that he would want to take a step down into the NCAA ranks, but anything can happen. Tortorella is the kind of coach that UMaine needs right now. Tortorella is a very fiery coach and expects more out of every single one of his players. The Black Bears have a talented squad that, at times, have shown brilliance last season, but could never stay consistent. Tortorella would have never accepted the play the Black Bears produced last season and would have challenged them to play up to their potential and not embarrass the program. Also, just think of the recruiting job Torts would do for Maine. Tim Whitehead was able to recruit some pretty good players to Maine, like Jimmy Howard, Gustav Nyquist, and Dustin Penner to name a few. Tortorella could bring in great talent and make sure that they would play to the potential they should be. He has a great NHL resume and is familiar with what the university can give to a student-athlete. It’s really a perfect fit and if all else fails when trying to land that top talent, he could always flash him that 2004 Stanley Cup ring. That should help reel in some players. It’s possible that John could bring in his brother, Jim, who is an assistant coach with rival New Hampshire. Maine is a team that has always taken pride in its goaltending, pumping out future NHLers like Ben Bishop, Mike Dunham, Jimmy Howard, and Garth Snow. Jim, a former goaltender for the Black Bears, can help bring some of that old goaltender magic back to Orono. Maine has struggled in recent years with a position that they were so strong on for so many years and maybe a new goaltending coach is necessary. Let’s just say that John Tortorella stays in New York or is fired and doesn’t want to come to UMaine. Then what’s next for the Black Bears? There has been a groundswell for UMaine to bring in former captain Jim Montgomery as coach, but the University of Denver beat the Black Bears to the punch. Montgomery was the captain of the greatest team that Maine produced and one of the greatest teams in college history. The 1992-93 Maine Black Bears lost just one game and tied another two en route to the program’s first National Championship. Montgomery’s hire would have been very popular, but they can only just wonder now on what could have been. So, now that Montgomery is off the board and say Tortorella doesn’t come to Maine, who do they target next? If I were the AD of UMaine, the first name I’d look at after Tortorella is another NHL coach. Toronto Maple Leafs assistant coach Greg Cronin could be a name to look out for. He already was an interim coach at Maine while Shawn Walsh was suspended for rules infractions and performed pretty well. Cronin was able to lead the Black Bears to the Hockey East championship game before losing to the Providence Friars. Cronin also has experience at the college level coaching Northeastern for six seasons. Although the Huskies didn’t do a whole lot during his six seasons there, his NHL coaching experience could loom large. The Leafs had a pretty good run this season and Cronin had something to do with that. He can instill his NHL knowledge into the young players and make them play smarter than others. Of course though, my top choice would be John Tortorella. It’s a long shot, but something that the folks at the University of Maine should look at if the Rangers part ways with Tortorella.